On Saturday, May 6, botanists Daniel Atha and Richard Abbott from The New York Botanical Garden, led the MSNH on a guided botany walk through Central Park. Atha began by describing the interesting history of Manhattan's landscape, particularly Central Park and Upper West Side to help us understand the ecology of the area. We then ventured into the park to see both native and non-native plant species and learned which characteristics (e.g., leaf shape and bark color) are used to identify them. Abbott discussed the differences between spontaneous plants which are plants that are not planted by humans and invasive or non-native plants, which are plants that are not native to an area. Many non-native plant species are able to outcompete native plant species because humans have drastically modified the landscape making it difficult for native species to survive. We also learned ways that the public could get involved (see links below) in helping botanists monitor the flora of the NY region. To view more photos from this event. Please visit our gallery. All photo credit for this event goes to Maurice Chen. Daniel Atha is a botanist and the Director of Conservation Outreach in the Center for Conservation Strategy at the New York Botanical Garden. He has conducted fieldwork in all 50 states of the US as well as Vietnam, Bolivia, Mexico, Belize, and several states of the former Soviet Union, and has collected over 15,000 plants, including two species new to science. With his colleagues, Regina Alvarez and Ken Chaya, he will soon publish a complete catalog of the City's flora and its ecological associations. Dr. Richard Abbott is a botanist with 25 years experience in a wide array of botanical jobs and research in CA, FL, IL, KY, MO, NY, and elsewhere, as a restoration botanist, an assistant grower in a plant nursery, a botanical research greenhouse manager, and a botanical consultant, pursuing new plants and new experiences, often in academia. There is nothing he loves more than learning new plants and sharing his passion for plant identification with others. 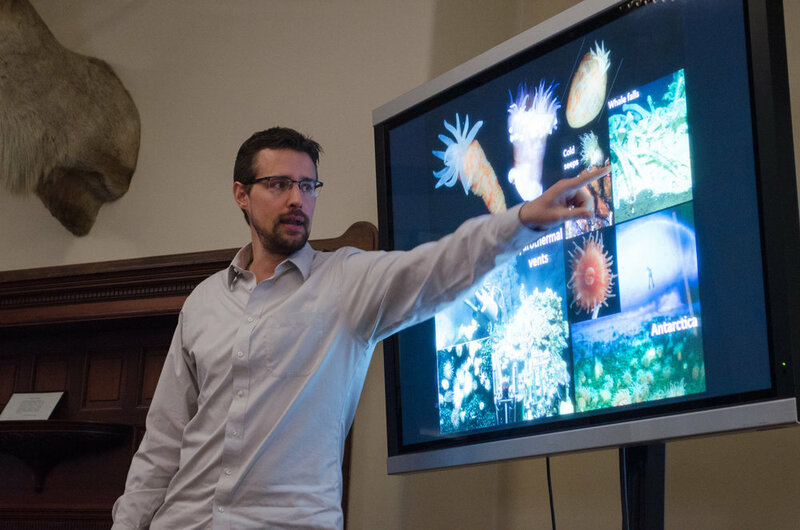 Abbott is currently a Research Associate at the New York Botanical Garden, where he works on the New Manual of Vascular Plants of Northeastern United States and Adjacent Canada. To learn more about Richard Abbott visit his website here! Additional links to publications, projects and websites related to the walk and recommended by the trip leaders can be found below. The Northeastern United States is a hotspot for invasive species. Ibáñez, I., J. A. Silander, J. M. Allen, S. A. Treanor, A. Wilson. 2009. Identifying hotspots for plant invasions and forecasting focal points of further spread. Journal of Applied Ecology 46: 1219–1228. Fridley, J. 2014. Plant Invasions across the Northern Hemisphere: a deep-time perspective. Annals of the New York Academy of Sciences 1293: 1–10.